Zack from JarryRigEverything, that is famous for testing the durability and analysing the construction of various gadgets, mostly phones, did a standard durability test of HMD’s flagship, the Nokia 8. Check the video down below. As expected, Nokia 8 survived the test. A good thing I noticed is that the LED flash on the back is covered under the protective glass, unlike the LED on Nokia 3 and 6. Also, as Zack points out, HMD made a clever decision to wrap the plastic for antenna around the corners of the device, so in case of a fall, plastic will be less damaged compared aluminum. Apart from Nokia 8, Zack also tested Nokia 6, 3 and 3310. 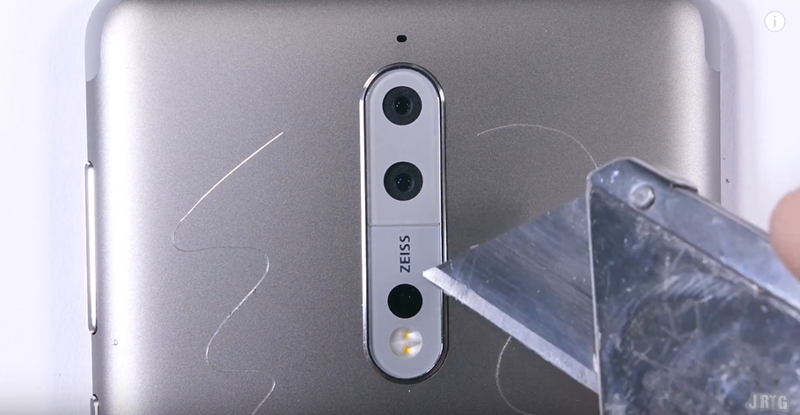 He also did a disassembly video of Nokia 6, that can be checked here.